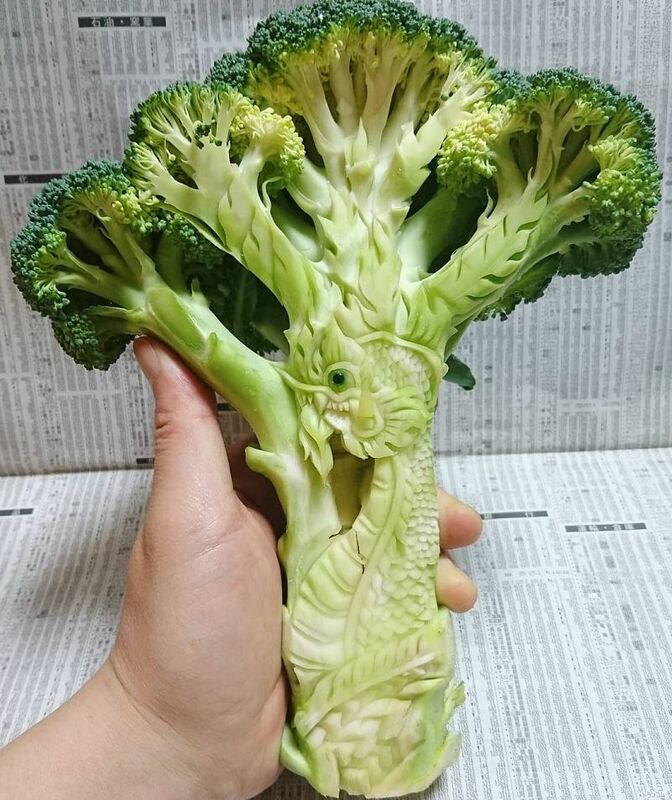 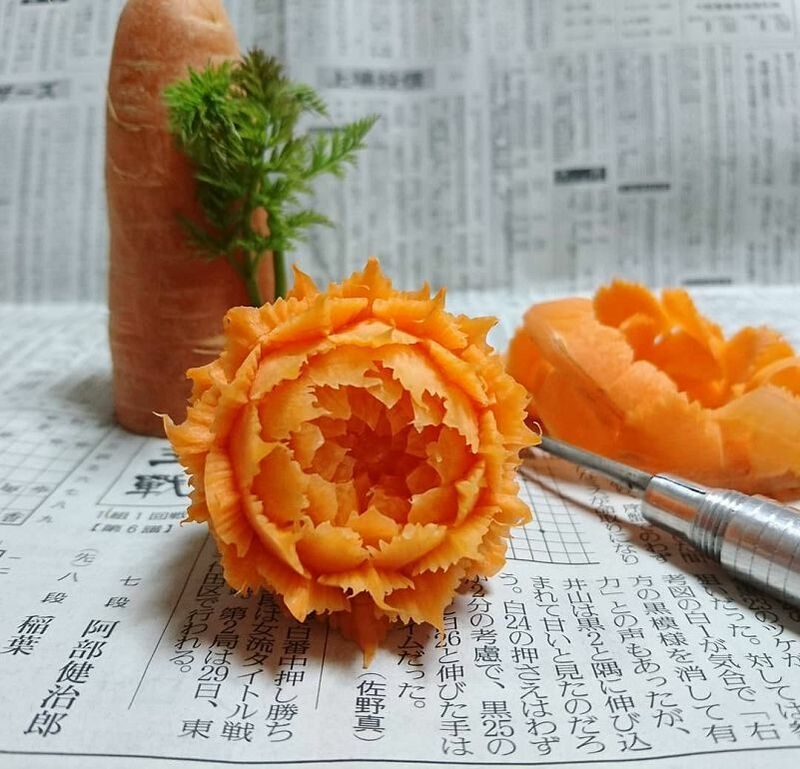 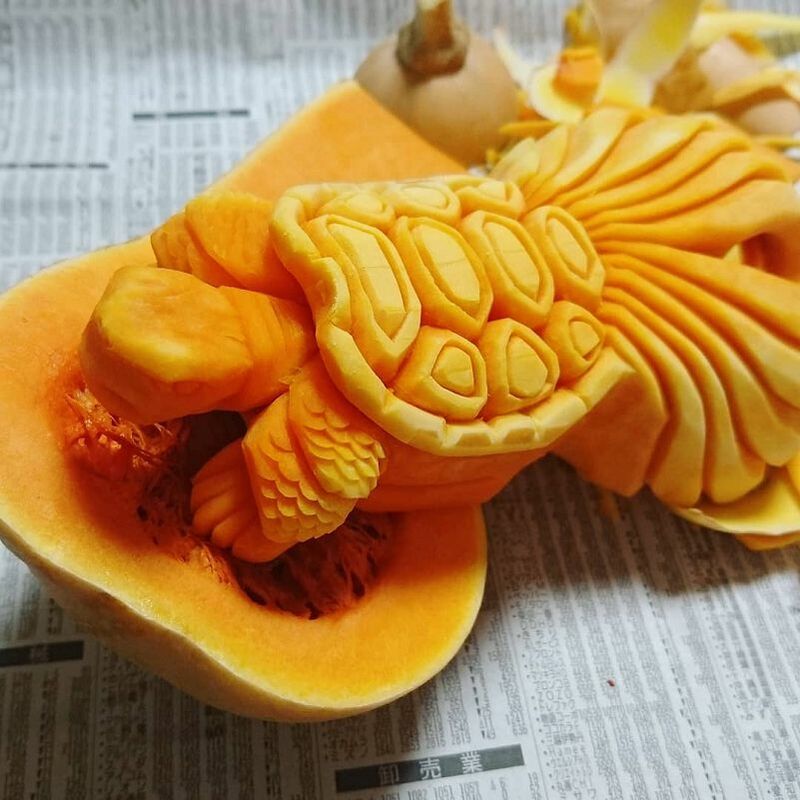 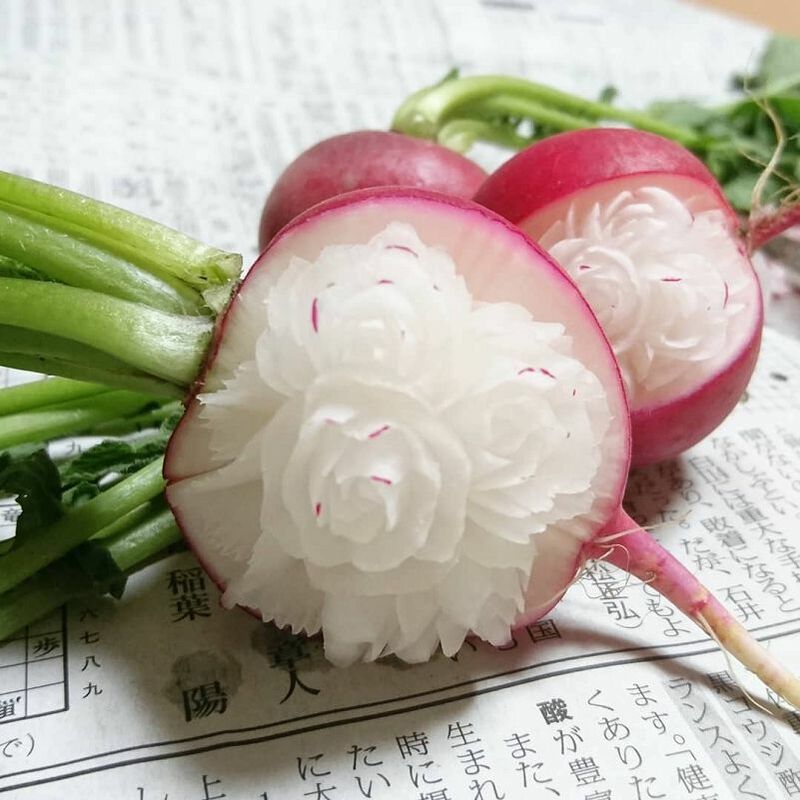 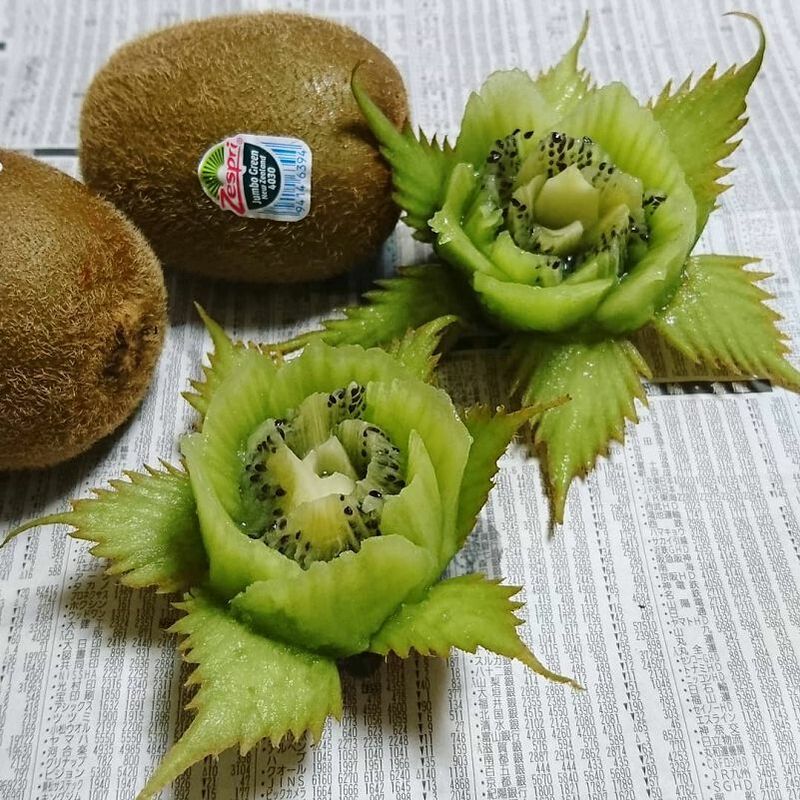 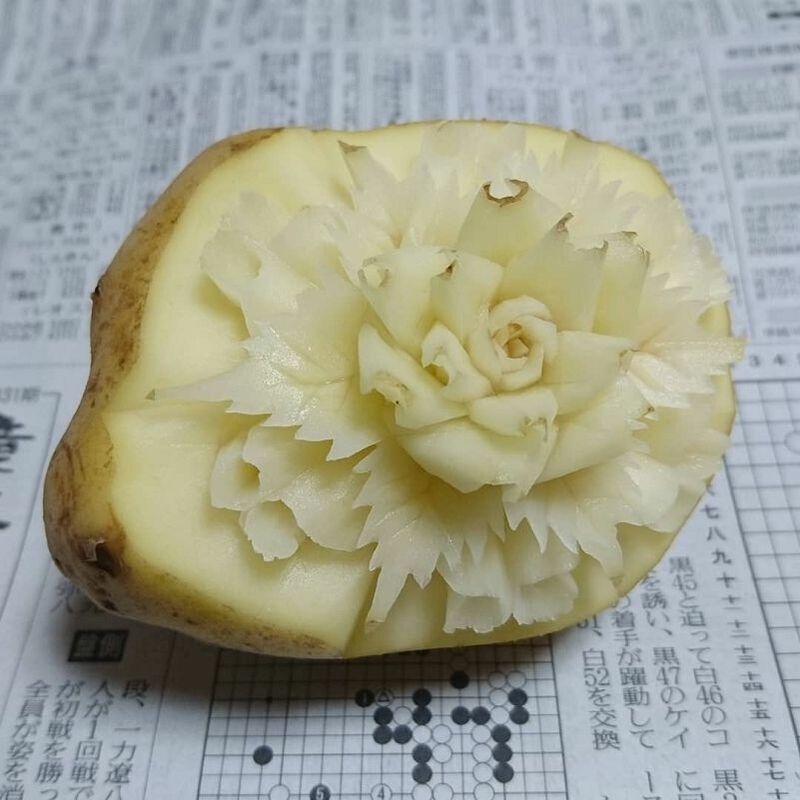 Japanese chef Takehiro Kishimoto from Kobe, specialized in gourmet cuisine, has been exploring the possibilities of food carving for a short time. 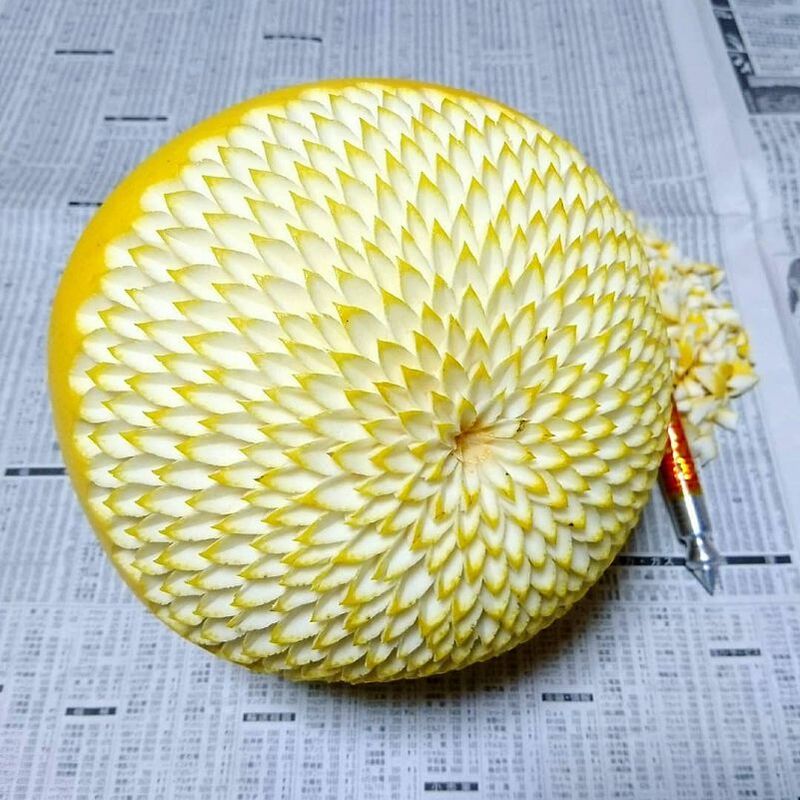 His creations, impressive in their details and the minutia of the engravings they contain, appear as real design objects, with floral, animal or geometric motifs. 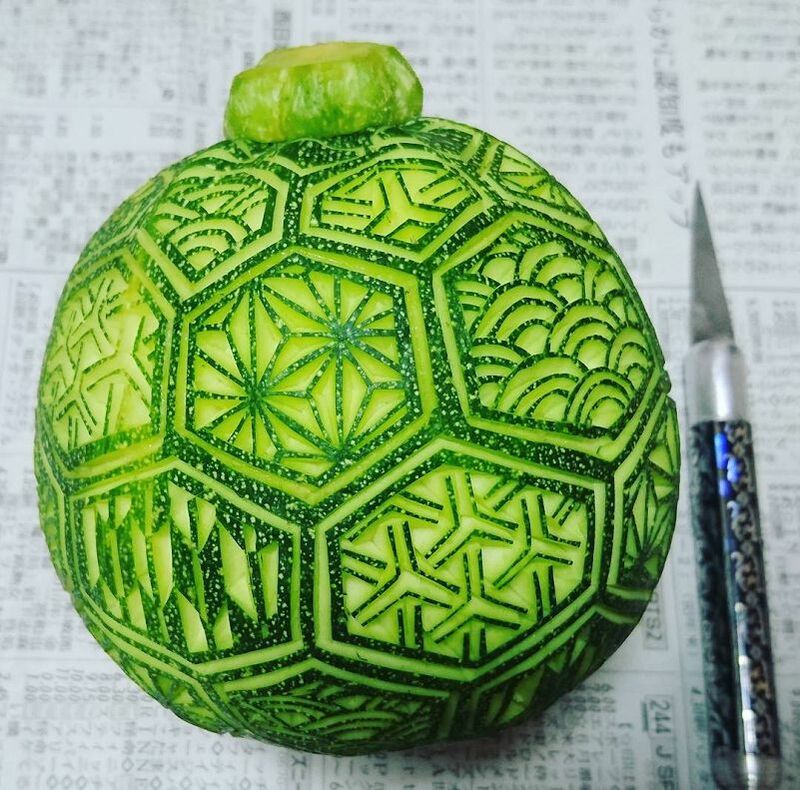 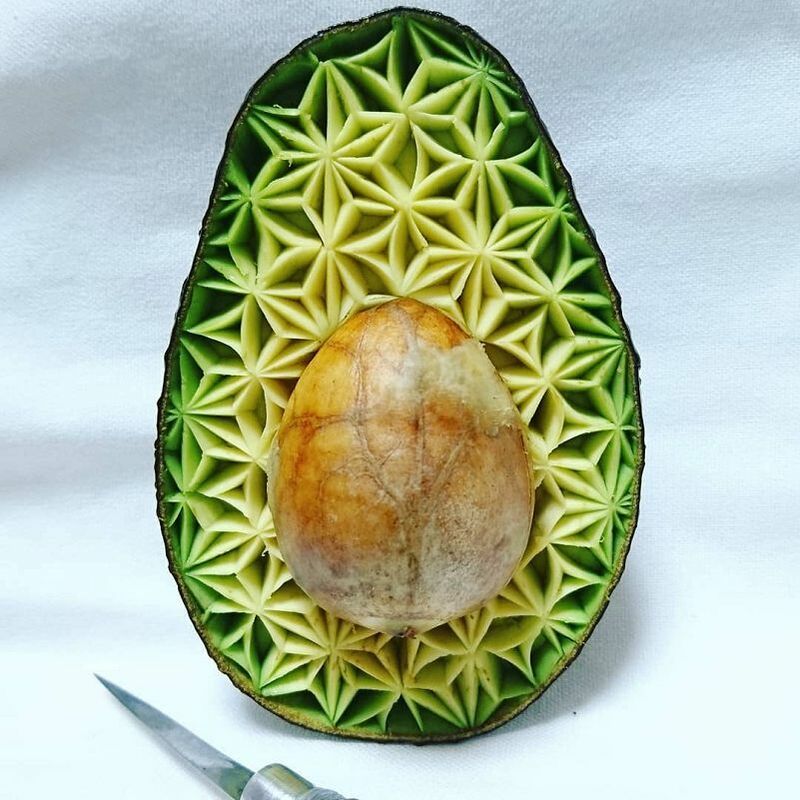 Inspired by many sources such as traditional Japanese motifs, decorative art and fruit cutting techniques from Thailand, the artist creates various, awesome and complex works.